Last night we got treated to yet another classic Subway Series game. 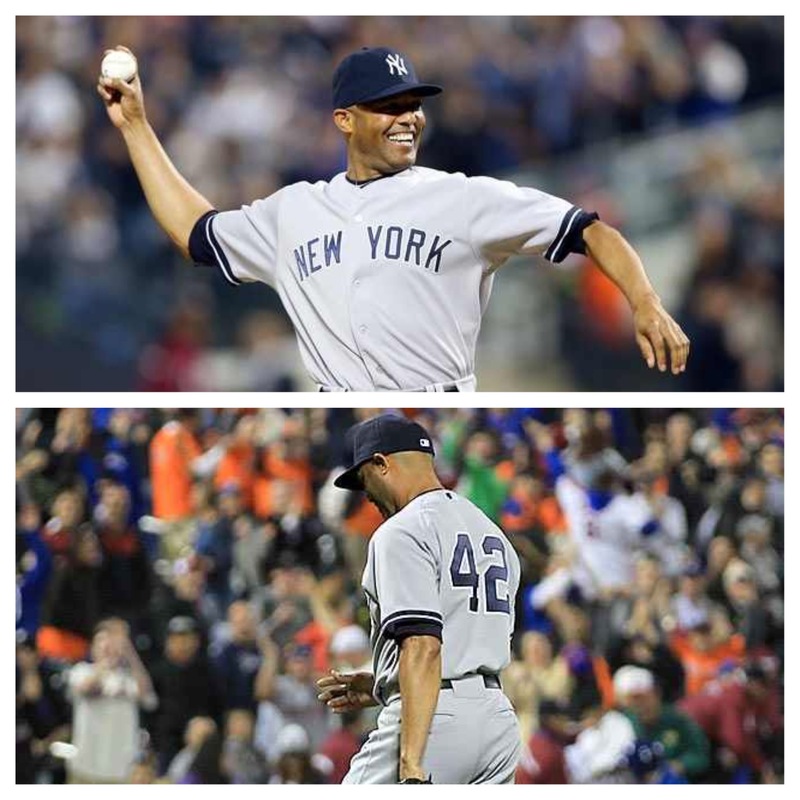 In a day that started with the Mets honoring Mariano Rivera with farewell presents and had him throw out the ceremonial first pitch, it was only fitting the game would end with him back on the mound. Unfortunately for Rivera, he wasn’t smiling after his final pitch as the Mets won 2-1 in walk off fashion off of the future Hall of Famer. There was a lot of hype surrounding Matt Harvey in his first start against the Yankees and he didn’t disappoint. The only problem was Hiroki Kuroda matched him and then some every step of the way. Very similar to last night games, there was no scoring through the first 5 innings as both starters were in complete control all night. After both offenses looked very anemic early on, the scoring finally got going in the fifth inning. Brett Gardner led the inning off with a single to right which Marlon Byrd had a hard time handling allowing him to advance to second base. Robinson Cano followed that up with a ground ball to Ike Davis at first advancing Gardner to third. It appeared Matt Harvey was going to get out of the jam after he got Vernon Wells to pop up in the infield and Lyle Overbay due up. Then Harvey made his only mistake of the game, he hung a change-up to Overbay which he lined up the middle to give the Yankees a 1-0 lead. Harvey did settle in to throw two more strong innings as he finished the day with 8 innings pitched allowing one run while striking out 10 in what was another outstanding outing. Kuroda was terrific last night. He was flying under the radar heading into last nights game with all of the attention going Harvey’s way. Kuroda had the Mets offense off-balance all night as he threw 7 innings allowing 0 runs while striking out seven himself. Brett Gardner once again made the defensive play off the game while robbing Daniel Murphy for the second straight night. In eerily similar fashion, Gardner chased down a deep shot to left center up against the wall to steal an extra base hit from Murphy and probably save a run with Ruben Tejada on first base. Besides this sole threat, Kuroda had an easy time with the Mets line up all night. Mariano Rivera entered the game in the 9th inning and it was a safe assumption that he was going to close out his final game in Queens after starting the year 19-19 in save opportunities. The Mets quickly fought back as Daniel Murphy started off the inning with a double down the left field line to get things started. David Wright following that by lining a ball into Left Center, that nearly hit Murphy, to tie the game up and he advanced to second as the throw to home got away. Just like that in only two batters the Mets handed Rivera his first blown save of the year. Lucas Duda came up next and single into right center to score Wright and just like that in just 9 pitches the Mets won in walk-off fashion. This was yet another great Subway Series game. I personally prefer these pitcher’s duel games, it adds to the dramatics as any one pitch or mistake can be the difference, which is what has happened these first two games. The final two games in Yankee Stadium don’t have anywhere near as good pitching match ups so I wont be surprised to see the offenses come to life a bit.